Yes! Gantos has updated his "Notes from the Road" section of his website. He diaries his summer. He has included some comments from his talk at a symposium sponsored by the Center for the Study of Children’s Literature at Simmons College. “Some people simply refuse to dance with a book—won’t allow themselves to become ‘transformed’ by the literature, made to become the ‘other partner’ of the literature. They resist being the characters, seeing the setting, discovering the themes, anguishing over the actions. In a small way they don’t even feel a bit of joy when little Corduroy gets his button (or pocket), or when Sylvester comes back alive from being a pebble, or when Harry the Dirty Dog takes a bath and is discovered to be his old self, or when The Little Engine That Could, can, or when Eloise runs though the halls of the Plaza scraping a stick along the walls and doors and making a great ruckus. No, some people resist the happy feel of a book, the charm of a book. They fight it. Not Reading is a statement that hollers out to the world: ‘I will remain the same. Don’t give me the stick with rock; I just want the rock!’ Or maybe they want even less, they just want to beat their head against a great big rock . . .
People who refuse to read conquer a book by not reading it. As we all know, being ignored is the worst snub. A book is sucked dry of its rhythm and blues, its hokey-pokey, its two-handed waltz when the owner shoves it onto the shelf. Michele at Scholar's Blog tagged me for 20 Random things about myself. I have a dragon named--Dragon and when I meet former students they ALWAYS ask how HE is doing. For a fellow who does not say much, he is apparently, unforgettable. I am a real librarian with a masters degree in library science who started life as a petrochemical/engineering industry librarian. I have always loved and read children's and YA books. I love Texas because it is the friendliest state in these United States. My favorite movie is The Lord of the Rings. I was a French major in college. I lived in the Netherlands as a child and in Strasbourg, France for a year when I was in college. The British consulate library in Strasbourg was one of my regular stops. I like all kinds of music, Van Morrison is one of my favs. I think Jack Gantos is the funniest author I have ever heard speak. I LOVE, adore, need coffee. I love hot tea. I am amazed how much I have in common with some bloggers. Entling no. 2 is going to Scotland in January. I wish I were going too. I am a BBCAmerican and I think Trinny & Susannah are brilliant . My family once drove to College Station, Texas just to hear Sean Astin (Samwise) speak. We drove to Atlanta, GA to see Howard Shore conduct the Lord of the Rings Symphony. My favorite TV shows are Battlestar Galactica, House and 24. We have started watching the DVDs of Firefly and I LOVE it and now I am having some emotional issues about the ending to the movie Serenity. Ritter's Frozen Custard is fantastic. I have cardboard standups of the entire Fellowship (except for Boromir because they NEVER sold him) guarding my front door. I love to watch folks faces when they enter my home. I spend too much time on the computer. I am a quilter although I am developing a new passion for knitting after reading Chicks with Sticks. This weekend is the International Quilt Festival in Houston. I don't know if I am going to go ...I have so many projects to finish already... I cannot imagine visiting the festival and not acquiring MORE new projects to complete...so many books, quilts, so much yarn--so little time. I was so interested in Cynthia Leitich Smith's interview with Adrienne Yorinks and Jeanette Larson on Quilt of States: Piecing Together America. Cynthia's interview are ALWAYS a great read if you enjoy (as I do) hearing the author's voice. Julia Null Smith has a "real" interview with the mysterious author Lemony Snicket. He (or perhaps his "representative," Daniel Handler) is appearing at the Texas Book Festival today. The humor and wiliness of Snicket and Handler's answers illustrate the genius behind this series. I asked Handler if Snicket will respond to the boring sorts of questions about influences and work habits that enterprising newspaper writers like to ask. "He'll answer, but he may not answer in the way you expect him to," Handler replied. And indeed, he didn't. When asked about his extraordinary output -- a book every six months, on average -- Snicket replied, "Well, if you devote your life to uncovering the details of a previously overlooked case, then you have to devote your life to it. It comes at a great cost to my safety and social life. I am grateful to you for complimenting my work." When asked specific questions about the story itself, such as a query about the evil VFD organization (an acronym that might stand for Valley of Four Drafts, Volunteers Fighting Disease, Village of Fowl Devotees, or, my personal favorite, Very Foul Dogs), Snicket dodged them with practiced skill: "The VFD is something about which people should not ask, lest they find themselves in danger." But you were a member, yes? "I don't think I should confirm or deny my membership in any secret society, partly because the punishment for crime in Texas is so severe, and I need to tread very carefully." Can you tell us about the tattoo of the eye you and all members of the VFD allegedly have on your ankles? "I also don't believe I should answer any questions about my intimate personal appearance. I haven't asked you any questions about your tattoos, have I? Or, actually, since you live in Texas, you might have a brand." It was quite a performance, all this playing-to-the-balcony, booming-voiced theater. As is, indeed, all of the Snicket series. Count Olaf, for instance, is an actor by trade, and his first attempt to steal the Baudelaires' fortune happens literally on stage. In the eighth book, "The Hostile Hospital," Snicket laments, "I feel as if my whole life has been nothing but a dismal play, presented just for someone else's amusement, and that the playwright who invented my cruel twist of fate is somewhere far above me, laughing and laughing at his creation." Snicket may not be laughing, but he sure seems to be having fun -- and neatly dodging dull questions about where he gets his ideas or what his influences might be. Asked if readers will find closure in the final book, he replied, "The best way to find closure is to leave the book closed. If you never open the books at all, then you will be quite satisfied with them." For those who have already tasted the delicious dissatisfaction of the "Unfortunate Events" books, Snicket's Austin appearance this morning will surely be another fine piece of theater -- even if he sends his "representative," Daniel Handler. "I have every hope of making my Austin appearance," Snicket said, "though events beyond my control have conspired to keep me out of Texas before." "Everything from large beasts to Homeland Security." The turquoise 1962 Ford Anglia that flew Harry and Ron to Hogwarts in the movie, Harry Potter and the Chamber of Secrets, has been stolen. ...It is believed that the vehicle could not have been driven therefore it is suspected that it would have to have been towed or lifted from the scene." Tabloids and "people" sections of newspapers chronicle the lives of the rich and infamous. In a country that rejected a monarchy more than 200 years ago, why are we so interested in the lives of "royals?" It seems I see Prince William's visage on the cover of some publication almost every week. Melissa Wyatt examines what it is like to be the subject of that paparazzi. Alex is a happy British teenager who enjoys his school and loves his horse. He has always known that his father is the "would be" heir to the throne of Rovenia but that country has been under Communist rule for decades. When the people of Rovenia vote to restore a constitutional monarchy and Alex's father agrees to assume the throne, Alex must leave is old life behind in order to become Prince Alexis. He is resentful and resists his family's "duty first" attitude. The country is impoverished from years of Communist control and war so his beloved horse must be left behind. The book is a realistic look at life behind the castle walls. This is not a "prince's diary." There are hysterical and adoring crowds, the threat of assassination, and the daily battle with his tutor DeBatz who is trying to teach him about his country and his duties. Alex is unprepared for his attraction to a Jet-Set princess who has him in her cross-hairs. He is an innocent in the high stakes world of tabloid journalism and pays a high price for his missteps. Alex must ultimately make a decision about his life, his future and his identity. I picked up this book in a high school library and found I could not stop reading it. As a grown up, Alex's attitude was a little wearing but I think teens will identify with the confusion and conflicting emotions Alex is experiencing. It made me reflect on the price that royals and celebrities do pay for their lives of privilege. Allen Say discusses his new book Kamishibai Man which is based on a happy memory from his childhood. Each afternoon, the kamishibai man would wheel his bicycle into Say's Tokyo neighborhood and sound his wooden "clappers'' to draw a crowd of children. He would sell candy and then present the latest installment of an ongoing theater production, with scenes painted on large-sized cards and presented on a box attached to his bicycle. The New York Times reports "the wild rumpus" may soon make it to the movie screen. The article offers a look at the complicated process involving multiple directors, screenwriters and studios. Sendak wants to be involved. His worst nightmare is an abomination like The Cat in the Hat: the movie. He had then and has now, Mr. Sendak said, "a loathing of movies that are based on children's books, and a loathing for most children's books." In his words: "It's all vulgar. It's all Madonna." Asked about the film versions of Dr. Seuss's "Cat in the Hat" or "How the Grinch Stole Christmas" - both released by Universal, where Ms. Snider is now chairman - he said: "What is the purpose of this debauchery? Money! Only a seriously sick or brainless person could like them." Christy Karras of The Salt Lake Tribune has an interview with Brett Helquist. He explains how he was tapped to illustrate Lemony Snicket's A Series of Unfortunate Events. 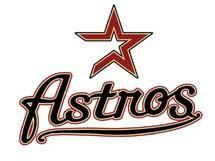 Houston goes to the World Series!!! This is a G-R-E-A-T feeling! I have been subbing in lots of school libraries recently. I have enjoyed the chance to work in several jr. high libraries. I like the energy and "relative" maturity of the students. Wandering though a library book fair yesterdayI noticed there were several modes of students. The majority of the kids were clustered around the hardcover world record books and Ripley's Believe it or Not. Others were thumbing through the software and the "toys." A handful of kids were pulling books off the shelves and reading the back cover. I struck up a conversation with them and began pointing out several titles I knew and gave them a quick book talk. Before long we were wandering the book cases trading, "oooh have you read THIS one?" comments. Two girls decided to split their purchases, "you buy this one and I will get this one and then we can trade." One young man had read Artemis Fowl but did not know about The Supernaturalist. All in all a very satisfying day. Kids in jr. high and high school want to talk about the books they are reading. They are not interested in matching wits with a computer and answering arcane questions about the color of the door knobs on page 67. They don't like looking for metaphors and listing them, discovering allusions or expounding on "voice." They WILL talk about characters, plot twists,descriptions and make predicitions about future installments with enthusiasm. They also like suggesting new books to read. I know so many kids who loved Holes by Louis Sachar but now dislike it (sorry Louis) because it has become the class novel unit. As one 6th grader I know put it, "They RUINED it!" Reading and English teachers, I guess you have to teach literary elements but could you do it with passion and enthusiasm? There is more to descriptive language than worksheets. This book is the pick for our mother-daughter book club. This is a great chick-lit read with well drawn characters and a fun plot that will appeal to girls who enjoyed Traveling Pants and Princess Diaries. Abby's parents run Dove's Roost, a wedding venue where they make couples' wedding dreams come true. Over the years Abby and her sister Carol have witnessed so many wedding meltdowns they vow to never marry. It is a shock to the family when Carol returns home after college graduation and announces she is going to be married. Their parents look at it as an opportunity to put on the ultimate wedding. Abby is sick at heart at the thought of losing her sister. Abby's world is changing in other ways. Her two best friends are planning a year in Italy and the boy she has a crush on is showing interest in her. A dedicated athlete and soccer player Abby is missing practice and games as she gets sucked into the wedding maelstrom and slowly but surely her sister is turning into Bride-zilla. Her parent's marriage is also cracking under the strain. Abbott's take on weddings, ice sculptures, mothers of the brides, and color themes is hilarious. Readers will identify with Abby and cheer for her efforts to fix her family and do the right thing for herself. The story of illustrator Grace Lin and her husband, Robert's fight against cancer is moving beyond words. Last year Robert's Snow: for Cancer's Cure raised over $100,000 for cancer research. The snowflakes were exquisite and I loved looking at each one. I was not alone apparently as the book Robert's Snowflakes highlights many (but not all) of the snowflakes created by children's book illustrators. 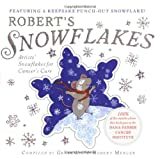 The success of last year's auctions has spurred Robert's Snow: for Cancer's Cure--2005. The auctions begin November 6, 2005 and feature children's illustrators such as Aliki, Mary Azarian, Tomie dePaola, Jerry Pinkney, Tony DiTerlizzi (check out the "Spiderwick" snowflake,) Paul O. Zelinsky and many many more. Take some time and look through the site. You will be so glad you did. I loved Oppel's Airborn. I describe it as Titanic in the air with a touch of Mysterious Island and Pirates of the Carribean thrown in. It was one of my favorite booktalks of 2004. In this sequel, Oppel takes us back to the world of graceful hydrium ships and into a search for gold. Matt Cruse is serving part of his Paris Airship Academy cadet training on a"rust bucket" freighter when the crew sights a long vanished phantom ship, the Hyperion. The ship is at an unreachable altitude and like the Flying Dutchmen of ship lore; the Hyperion is more rumor than fact. Matt's captain is foolishly determined to capture it and its legendary treasure and almost destroys his own ship in the process. As the crew falls victim to the crushing altitude, Matt is able to save their lives by disobeying a direct order from his captain. Back in Paris after this episode Matt is wondering if he has a future at the Academy or with the lovely Kate de Vries. Since meeting her on the Aurora Matt is more aware than ever of his impoverished circumstances. Kate wants to prepare an expedition to find the Hyperion though she is more interested in scientific discoveries than the treasure. Matt alone knows the the ship's last position and others want his knowledge. Should he let the dream of wealth overtake him and join in the hunt for the Hyperion or should he plug away at his studies and forget the whole thing? Like treasure hunters searching for Spanish galleons at impossible ocean depths, the team is ready to break the sky in their quest. A beautiful gypsy girl, a privateer with questionable motives, a prim governess, brilliant Kate and brave but confused Matt make up the party and are in for the flight of their lives. As Kate suspects, there are other lethal creatures in the sky besides cloud cats. The other presence in the story is the "Howard Hughes-type" eccentric who built the Hyperion so many years ago. Is his spirit ready to part with the secrets of the ghost ship? Horation Hornblower meets Jules Verne -- this is a cracking read. I hope Oppel will visit this world again. His fascination with bats continues by the way. Scholar's Blog has posted the news that firefighters were called to the Aardman Animations' warehouse which housed sets and props for Nick Park's Wallace & Gromit films. It sounds like the warehouse is a total loss. According to Sheriff, props and sets from all Aardman films were decimated in the flames, including the 2000 hit Chicken Run, the children's cartoon character Morph and the anthropomorphic Oscar-winning Creature Comforts series, as well as models from the three previous Wallace and Gromit films, A Grand Day Out, The Wrong Trousers and A Close Shave, the latter two both Oscar winners for Best Animated Short. Props from the man and dog duo's first full-length feature and current box-office topper, Wallace & Gromit: The Curse of the Were-Rabbit, were not caught in the blaze. Creator Nick Park said that though the loss was disappointing, recent natural disasters, such as the earthquake in South Asia, put the day in perspective. "Even though it is a precious and nostalgic collection and valuable to the company, in light of other tragedies, today isn't a big deal," he said. Stinking Bishop cheese is in the crosshairs of immense popularity because of the new Wallace & Gromit: The Curse of the Were-Rabbit. 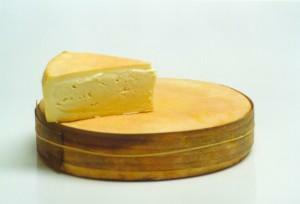 Wallace's passion for this cheese could catapult it to instant fame. The cheesemaker Charles Martell of Gloucestershire says he is not prepared for the high demand for his cheese that has already been generated by the movie. Bob Mondello reviews the movie here. We hope to see it this weekend when we travel north to see the other entlings tomorrow. A description of Stinking Bishop can be found here. Author Graham Taylor has caused a dust-up by using "inappropriate language" in a talk to school children. His defense is he was streaming the "Little Britain" television program as a cultural/pop reference. Memo to self: Trying to look cool to 11 year olds by using "popular" idoms will just make you look like a dolt. Language in Chis Crutcher's books annoys some folks but his presentations to students are meaningful, thoughtful, funny, and unforgettable. Crutcher hopes school officials will begin to realize that he knows how to watch his language around the children to whom he speaks. "I go to hundreds of schools, and I've never offended anyone," he said. Entling no. 2 kept me entertained in the car this summer with Loreena McKennitt music on her Mp3 player. While I was reading The Perilous Gard I kept hearing that music in my head. On the journey there she sees a mysterious lady in a green cloak and is soon embroiled in the secrets and terrible history of the castle also known as Perilous Gard. Her new guardian, Sir Geoffrey, cannot wait to get away from the place. His brother, Christopher, is filled with guilt over the disappearance of Sir Geoffrey's young daughter years earlier. The local villagers fear the fairy folk who live under the hill and supposedly kidnap children. The inhabitants of the castle are rumored to be in league with them. When Kate stumbles into the underground realm of the Lady In Green she must work to keep a hold on reality while looking for a way to escape. I enjoyed this read a great deal. Another favorite Elizabethan era story is A Murder for Her Majesty by Beth Hilgartner. One day I will visit York Cathedral. Saturday, Nov. 5, 2005 is the date for the 23rd annual Children's Book Festival and 19th annual Young Adult Conference SHSU Book Festival in Huntsville, Texas. Jerry Pinkney and Gloria Pinkney will be speaking as well as Susan Stevens and her sister Janet Stevens Crummel. Janet Stevens Crummel was one of the most engaging and entertaining authors to ever visit our school. This is always a wonderful conference. What fun this morning to hear the interview with Nick Park on NPR this morning. 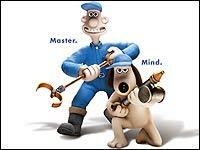 I love love Wallace & Gromit. I am so looking forward to the new movie, Wallace & Gromit: The Curse of the Were-Rabbit. Finally, something worth the price of a movie ticket and popcorn! If you have not seen A Grand Day Out, The Wrong Trousers, and A Close Shave you are missing some great fun.